The brilliant and ambitious Marcela Landres – editor, educator, writer, Latino authors' advocate, and really cool person – contacted me a few weeks ago to invite me to speak to her publishing class at City College. Since she was basically offering me a chance to talk about the stuff I talk about anyway, to a group of young people who might actually be interested, of course I jumped at the chance. As she described it, "The class I'm teaching is the introductory class, offering an overview of the book industry with the objective of helping the students identify what kind of position they’d be suited for, e.g. 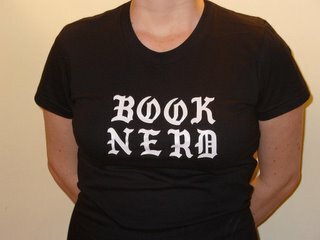 editor, agent, bookseller, etc. The mission of the publishing program overall is twofold--to launch careers for their graduates, and to increase diversity within publishing." I'd never been to the City College campus on 138th Street – it's really pretty impressive. Marcela had described the building as "labyrinthine," so I arrived early to find my way to the classroom. Students were understandably straggling in, as the weather was shockingly beautiful on Tuesday morning, and they'd just come back from spring break, so we chatted about bookstores, of course. Marcela was impressed with the focus on international fiction in our store, which I explained was a way of adapting to our neighborhood as well as reflecting the interests of the owner and staff, and we talked about the amazing number of accents you hear in SoHo. After my introduction (I even got my name written on the chalkboard!) I told the class I'd talk to them about five things: the story of how I got into bookselling, the potential for independent bookstores and the reasons I think they're important, the perks and downsides of life as a bookseller, a typical day for me in the store, and some suggestions for where to start if they'd like to get into bookselling. With a few minor digressions and distractions, I did pretty much that – I've probably discussed most of what I said to them in previous posts. Then Marcela and her students asked questions, which is always the fun part of any presentation. I got to talk about what new trends in books I think are interesting (graphic novels), why people would buy from independent bookstores when chains offer discounts (because independents offer so much more than just cheap books), whether independent bookstores are in danger of extinction (no way, provided that they keep being creative), what I think about Google offering full text books (that it's still a complicated issue, but posting books online has helped some authors), what kinds of books I want to have at my future bookstore in Brooklyn (really good fiction, a little bit of everything, and whatever my customers need and want), and what skills someone should have to be a good bookseller (love of books and love of people). I had talked about the perk of free books in the form of galleys, and someone asked what happened to those galleys after we read them. I explained that it's illegal to sell them (though some do), so we usually destroy or donate them. "Have you ever thought about giving the galleys to customers?" a young man on my left asked. I started to hem and haw. No bookseller wants customers to get the idea that we're in the business of giving away books, and once you give in to one, everyone wants in. He continued "I mean, what if you collected business cards and had a raffle once a month of your staff's favorite galley? Then you could build excitement about the book before it comes out, and get customers in your database, and you wouldn't get in trouble for selling it because you'd be giving it away." I stopped short. "See, this is why you guys should be in this industry," I said, "because that is an original idea." Others pitched in: "You could advertise the raffle on your website!" "You could have customers review the book afterward!" "You could do more than one a month!" I promised them I'd think about the idea – I don't know if it will happen right away, but I intend to put it into action someday. Man, I really hope some of these bright young things make it to the bookstore side of the book world. We need their fresh perspectives in our stores. I know they're going to make it big wherever they go – they certainly have a much better idea of their goals than I did when I was an aimless English major! – and it would be wonderful if some of them choose the community and hands-on opportunities of bookselling as the place to make their mark. Wouldn't be wonderful if ABA, Emerging Leaders and other groups were to take a hint from Marcela and the City College program and consider outreach programs to encourage young book people to consider bookselling as a career? I went from the class to a book party for Mark Binelli (whose SACCO AND VANZETTI MUST DIE! I'm really excited to read), drinking wine and shmoozing with some delightful media people and booksellers, and in the evening at the store I hosted a conversation between T Cooper (LIPSHITZ SIX, OR TWO ANGRY BLONDES) and her editor, which offered fascinating insights into the process of turning manuscript into book. It was the kind of day in bookselling I love, and I realized I have no qualms about encouraging some 19-year-olds to abandon the security (and boredom) of a desk job for the every-day-is-different (though sometimes you struggle) world of the bookstore. For those who have the skills – love books, love people – it's really a future worth looking forward to.